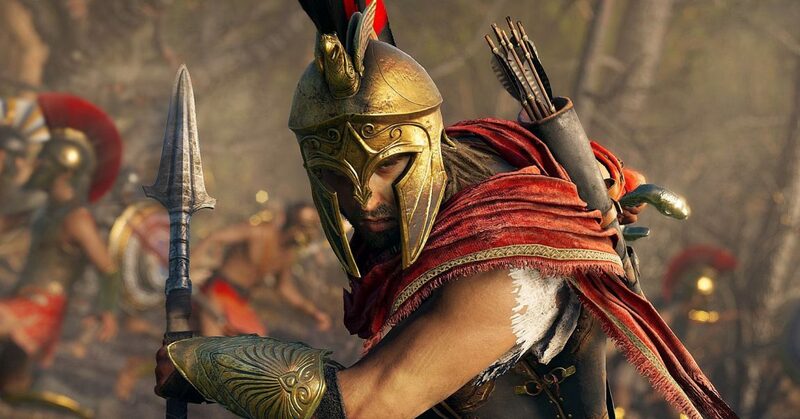 An Assassin’s Creed game that features multiple historic timelines in one game is likely with the introduction of next-gen consoles and technology. According to Ubisoft EVP Lionel Raynaud, one game with a number of different historic timelines that the player can travel between would be possible as singular finite games give way to live services that update a game post-release. Games like Far Cry or Watch Dogs could take place in multiple cities and countries too, according to Raynaud. “We would be able to – in the same world – have several historical periods, for instance, in Assassin’s Creed, and use the Animus to travel from one to the other,” he told the Ubi Blog. The line between a singular game that stops after reaching a conclusion, and a game that is constantly updated with new content blurs every year, according to the Ubisoft exec. “This line gets fuzzier every year. We have bigger post-launch periods, longer lives for each of our games. Even the ones that used to be solo-oriented games, like action adventures, they now have a very strong post-launch, and people are staying in our worlds for a long time. So this line is absolutely fuzzier and fuzzier,” he said. Previous Assassin’s Creed games have been related using the same characters – Assassin’s Creed 2, Brotherhood and Revelations are part of the Ezio trilogy. And last year’s Assassin’s Creed: Origins featured elements of Greek history ahead of the Ancient Greece setting chose for this year’s Assassin’s Creed: Odyssey – as well as the Greek colony Cyrene, main hero Bayek’s wife is half Greek. Ubisoft has already touched on expanding and interlinking these games creatively, then. It just now needs the next-gen technology to catch up with its ideas. And then we’re not far off the idea that Ubisoft games are all in a shared universe, are we? “Creatively, how does Ubisoft decide how long to keep creating new content for a live game after launch, as opposed to moving on to a sequel? Where does that line get drawn?” he said. The post Assassin’s Creed: next-gen could feature multiple historic timelines in one game appeared first on VG247.